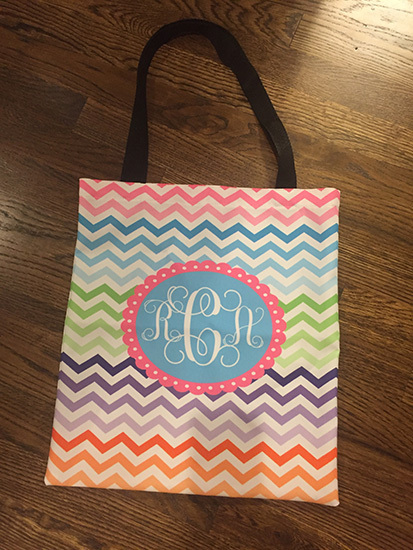 Personalized handled totes. 2 sizes to choose from. A 14x16 inch bag or a 23x24 inch overnight bag. Check out my towel designs here. I can match any of the bags to the towels. These make great halloween treat bags and teacher school bags as well.